Austria, Belgium, Bulgaria, Croatia, Cyprus, Czech Republic, Denmark, Estonia, France, Germany, Greece, Hungary, Ireland, Italy, Latvia, Lithuania, Luxembourg, Malta, Netherlands, Poland, Portugal, Romania, Slovakia, Slovenia, Spain, Sweden. Normally we need 1-3 working days for handling. If you meet any problem, please firstly kindly check wiring diagram and FAQ below. We do our best to serve our customers. We will refund you if you return the items within 15 days of your receipt of the items and it is only the reason of product itself like wrong product, defect, damage, anything that is seller\'s fault, not the buyer\'s personal preference or failure to use. Besides, the items returned must be in their original conditions. All of our batteries use best quality high discharge rate power type cell (not as other sellers who use capacity type which has very less discharge rate). Before send out, several charge and discharge cycle test is always necessary. Our BMS board use best quality Infineon MOSFET so that can ensure quality. 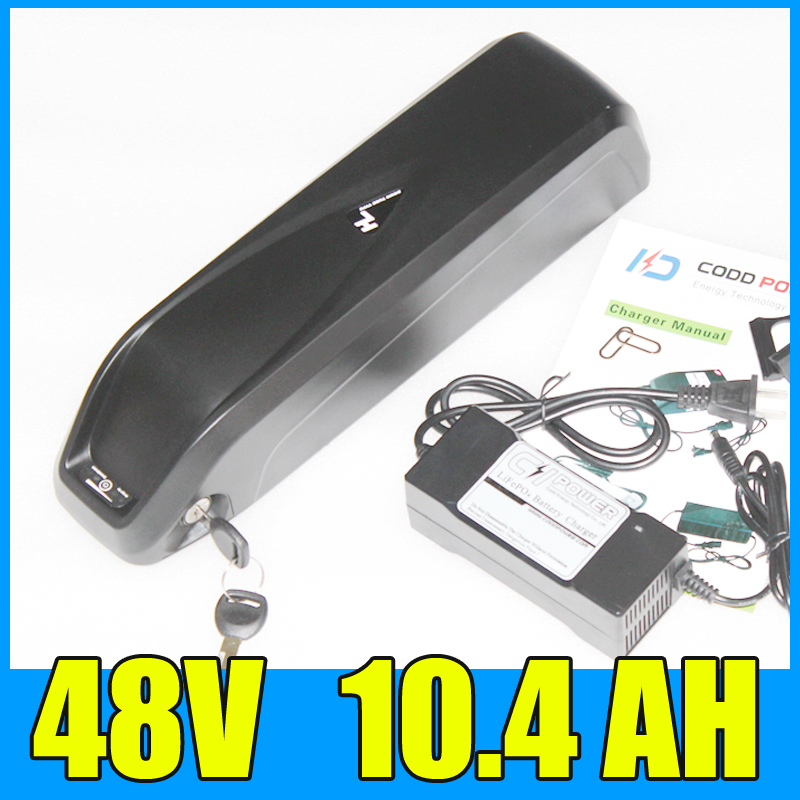 Please use this battery for maximal 48V 1600W Power!! If you use it for bigger power motor and cause any problem or accident, we are not responsible for that. Before you buy, please kindly check battery box size whether fit your frame. Please kindly contact us to get Manual. You are warmly welcome to join us and be one of our dealer. We ensure each dealer will have great benefit and develop with us together. HalloMotor owns a team of engineers and mechanics to design, develop and produce electric bikes and tune their performance. Our dealer are given no min purchase limits. Dealers can select from our range of products and place order via our website or email. Our team in worldwide will provide support for all warranty issues especially assembly and electrical system. Part replacements and shipping are covered by us if it is genuine quality and design issue. In general, our dealers should have experience to deal with general bicycle issues. Dealer can return any faulty goods and receive full refund. Usual worn out parts (such as tire, tube, brake pads) are not be covered. Dealer can end dealer relation and contract at any time, after return all unsold goods, full or partial refund will be made according to the age and condition of the goods. We can supply ebike assembly service in Germany and Austria (pick up your bicycle, convert to ebike and deliver you), if you need this service, please kindly contact us. One year quality warranty. Damages caused by buyer\'s wrong operation are not covered in warranty. Usual worn out parts are not be covered. We have repair and return center in USA and Europe. This is DIY product need to be produced according to your requirement, so we need about 4-6 days for production and test. If you have urgent request, please kindly confirm with us. 5. Customs duty / tax: not included, we are not responsible for it. European Union countries are duty free. We accept returns and exchanges within 14 days of receipt of the item. The buyer is responsible for the return cost. The product must be new and same as original status with all inside. Only for product quality problem, we pay shipping costs. Your satisfaction and positive feedback is very important and will encourage us to develop and supply more new products, there is no 100% good products in the world, we always try our best to help our customers solve problem together. We look every customer as our best friend, want to share experience and photos each other, hope to get more understand and patience. Any negative feedback will hurt relationship of both sides and help nothing to solve problem.